Shannon and I have found a sort of oasis right on our block that we are both very excited about. After spending so much time buried deep in a sea of buildings we were ready to find some sort of retreat where we could easily escape some of the madness. Little did we know this sanctuary could be found on our very own block only seconds from our front door! 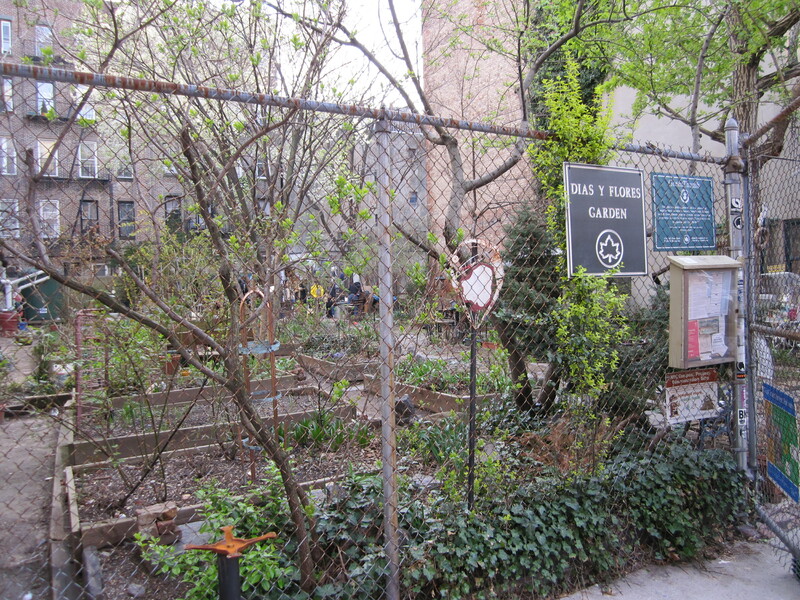 Community gardens are scattered all through the East Village, as I have mentioned before in this blog, and we have 4 on our block. They are small open spaces that the community has claimed for their own and instead or resurrecting a building or developing the space anew they took the opportunity to turn the space green. They consist of garden box after garden box, each one owned by a different member, and a few community spots. 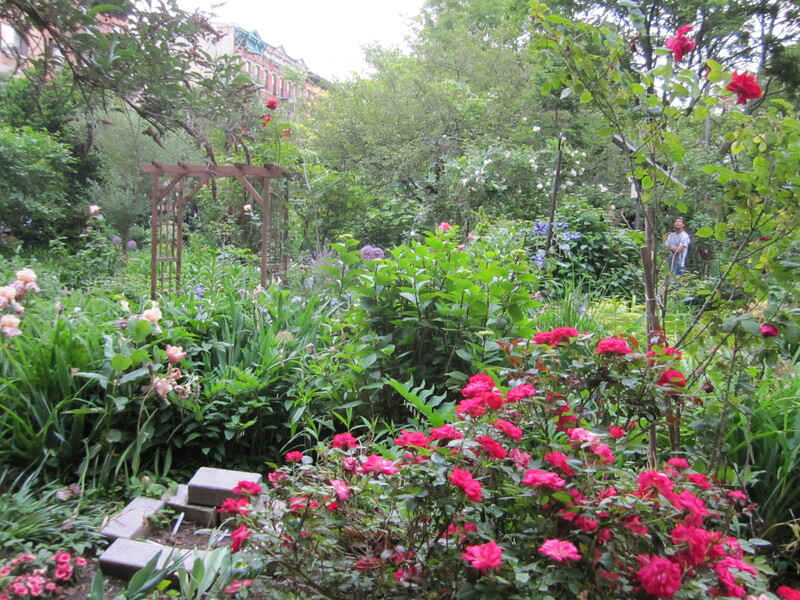 In each garden you can find composts, picnic tables, arbors, grills, and a few wrinkly old men stooped over the dirt taking care of their tomatoes. They are truly a lush and green escape within the hot asphalt of the city, the second you cross the gate you become overwhelmed with intense smell of freshness. Incredible. 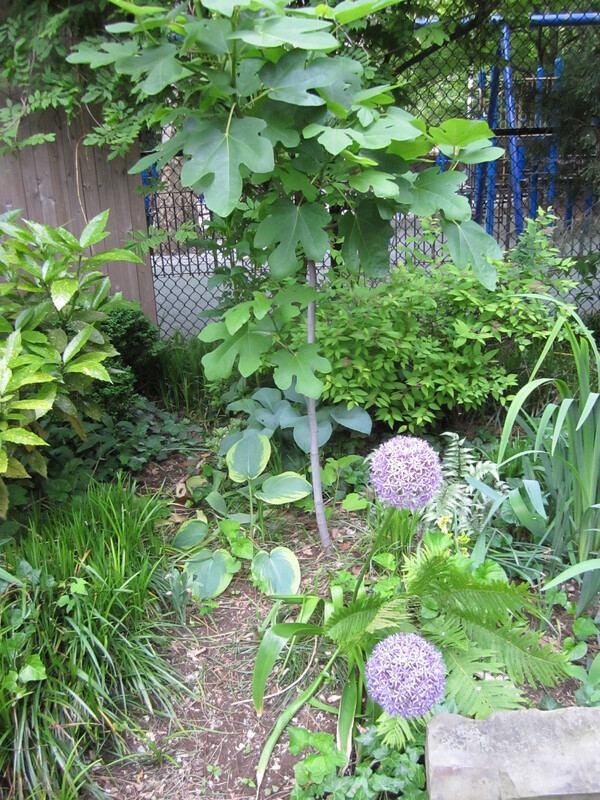 The best part about the garden is its very small fee. 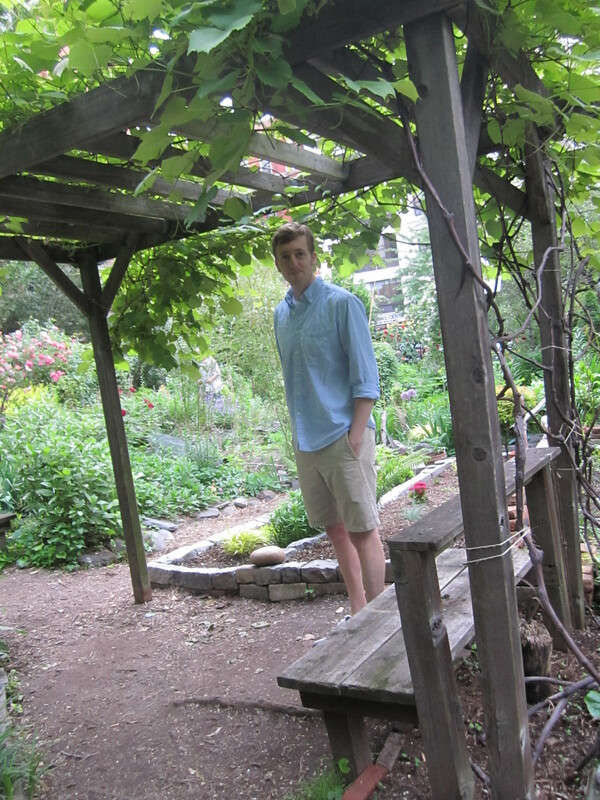 For 10 dollars a year you get access to the garden (your own key as they keep it locked) which means you can treat yourself to a little quiet time whenever you want! I am willing to pay ten bucks a year for my own private gardens. We have our first meeting on Friday to figure everything out, and then we get a plot to start planting everything, grilling, and relaxing. Tomatoes, herbs, veggies of all types, flowers… we are going to try a plant them all! I will inevitably keep you updated. 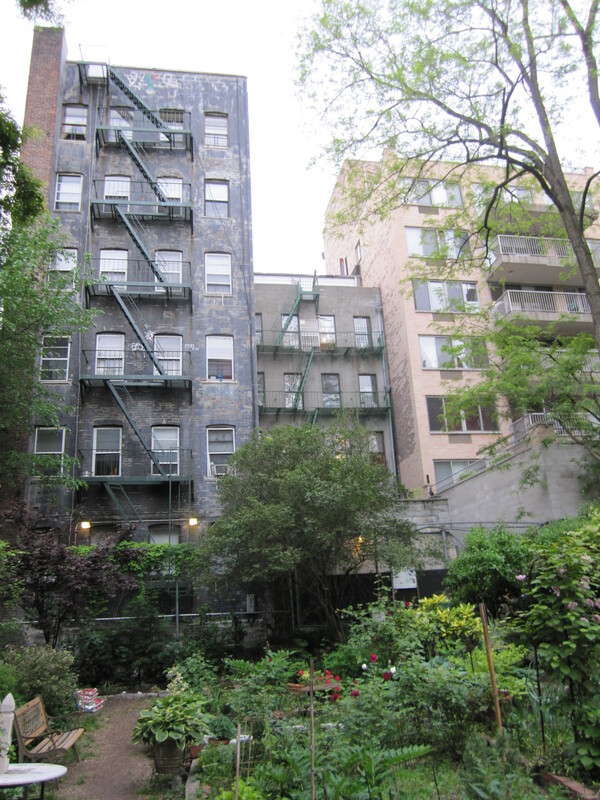 Garden nestled into the buildings. So many things growing in there. There are little nooks with chairs and fountains, grills and tables, and some nice little reading spots. 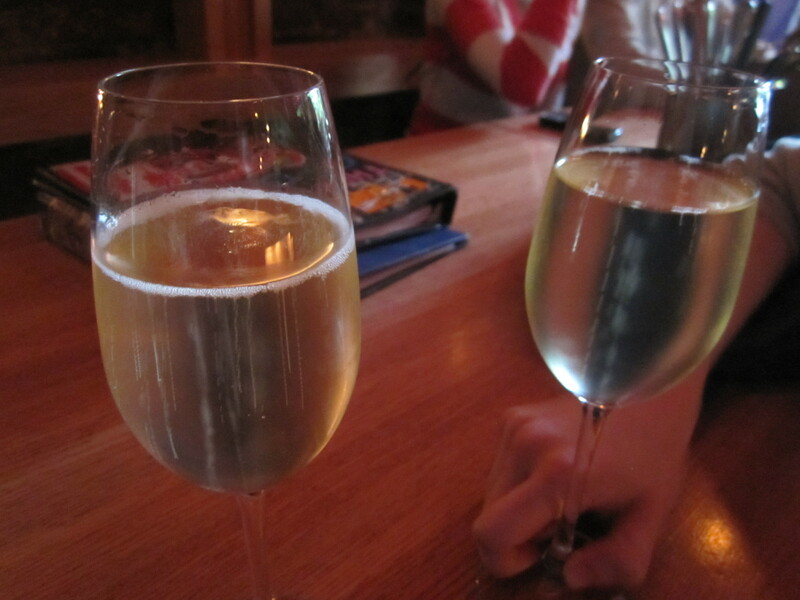 On a completely different note… Shannon and I have been really enjoying drinking sparkling wines and champagnes lately! Something about the crisp bubbles and light flavors on a hot day are simply unbeatable! Anyways… combine some champagne, private garden, and a hot summer day… win.